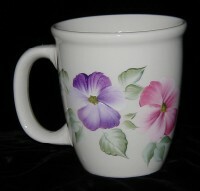 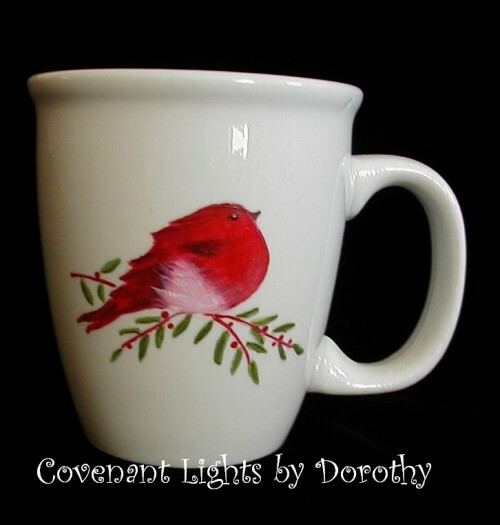 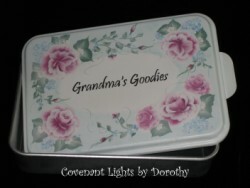 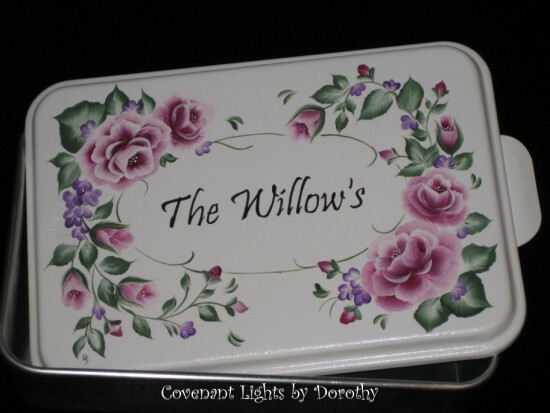 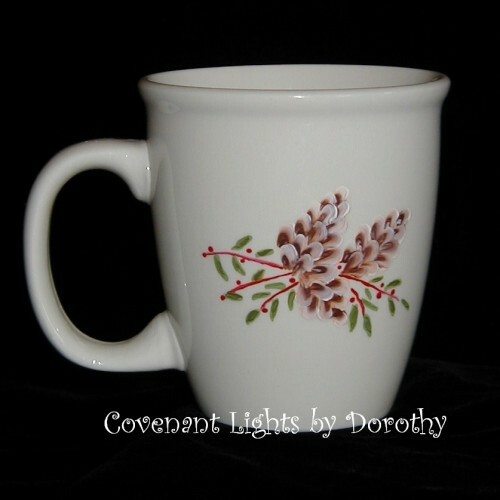 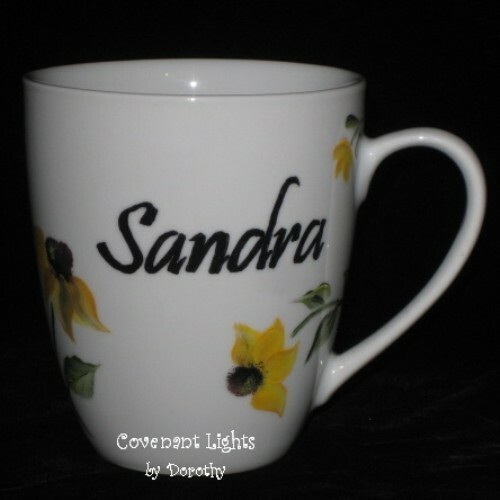 I will personalize these items by hand painting your name (first, last or initials). 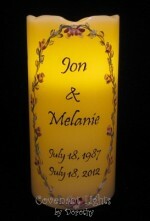 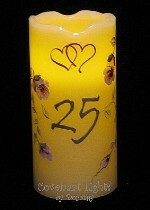 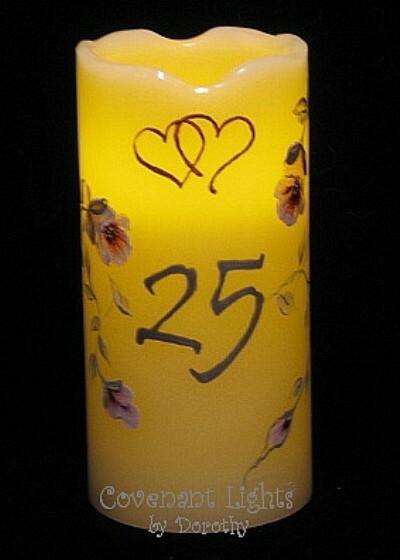 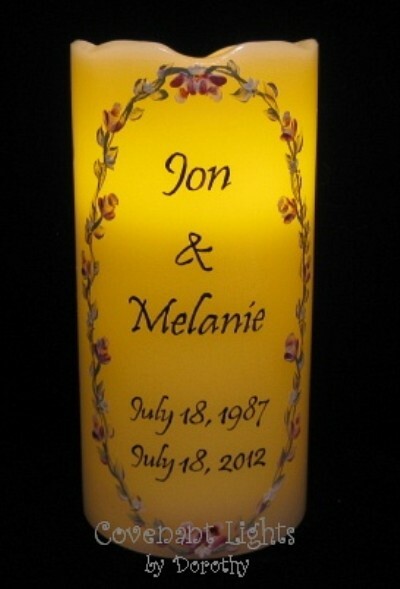 Wedding and shower candles also include the wedding date. When ordering, be sure to include your personalization information when you check out. 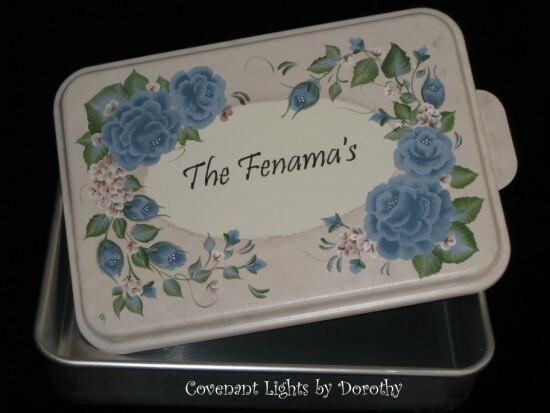 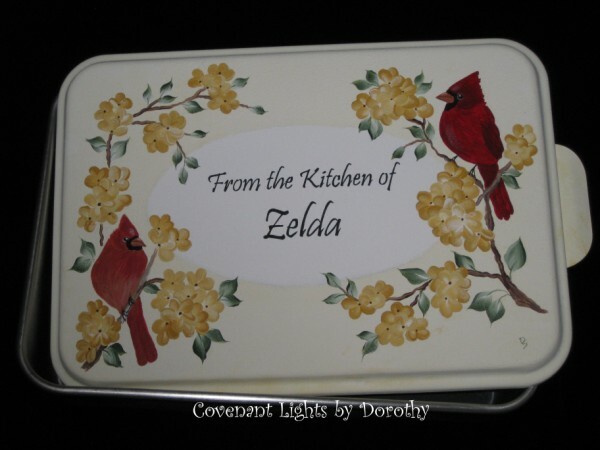 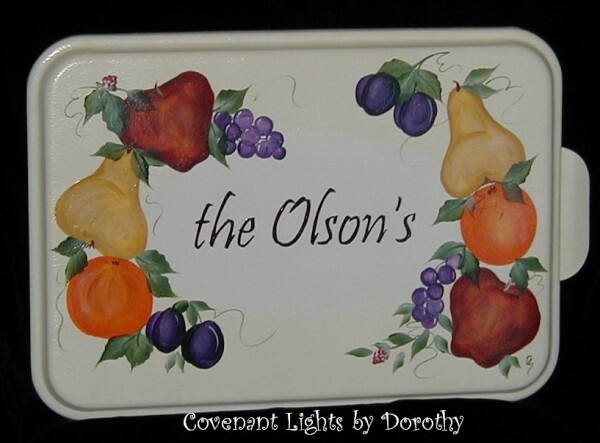 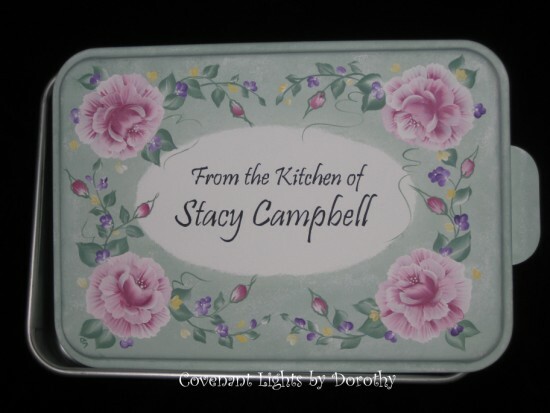 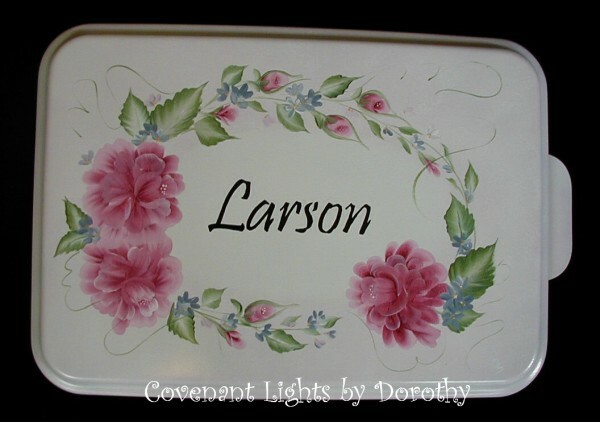 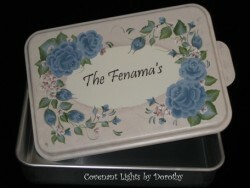 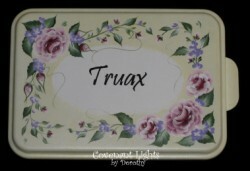 New 9 x 13 cake pan with hand painted, personalized cover. 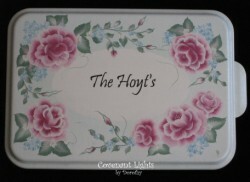 This cake cover is based in soft pink and hand painted with shabby roses. 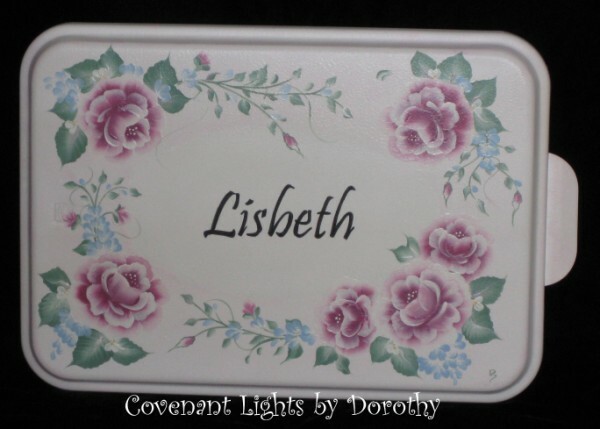 Cover is for storage only, and should be hand washed. 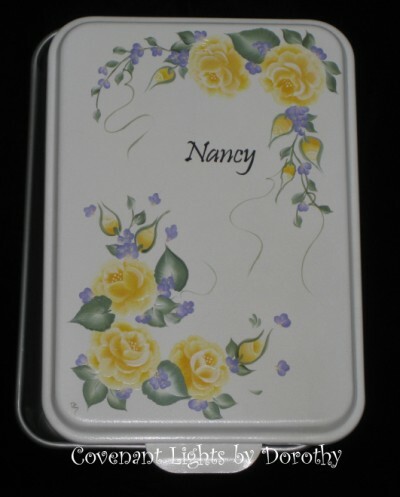 Pan is in its original condition and can be used in oven to bake your goodies and washed in the dishwasher. 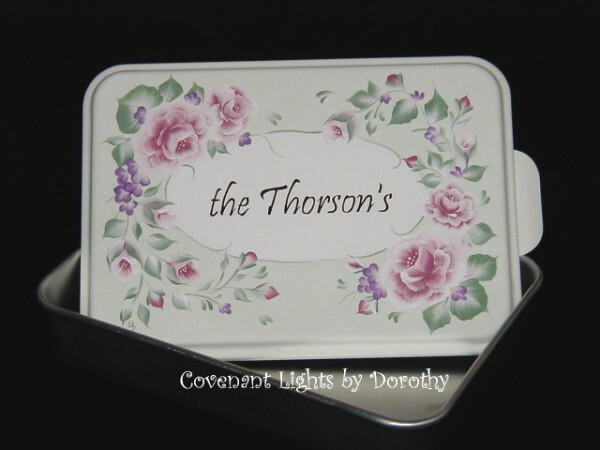 A unique wedding, shower, birthday or Christmas gift! 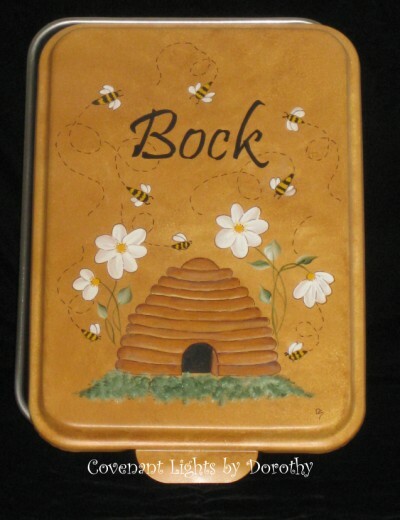 New 9 x 13 cake pan with hand painted cover. This cake cover is based in white and hand painted with shabby roses. 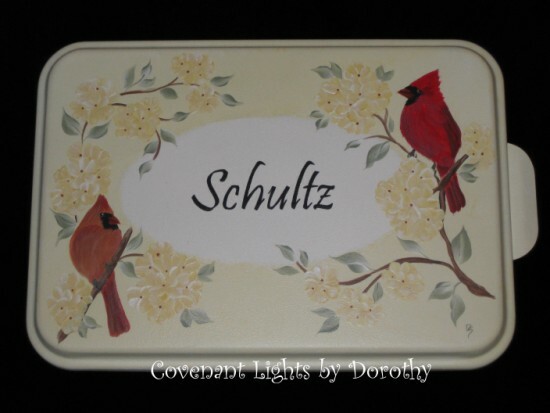 This cake cover is based in soft yellow and hand painted with a proud rooster. 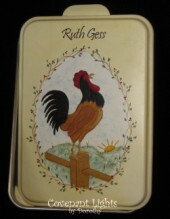 A wonderful unique gift for the rooster collector! 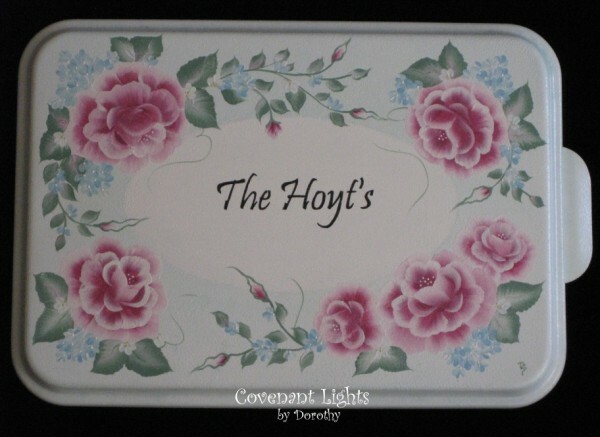 This cake cover is based in aqua and hand painted with beautiful pink shabby roses and light blue filler flowers. 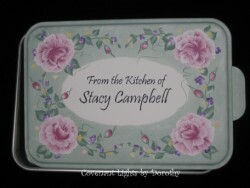 This cake cover is based in soft green and hand painted with my shabby pink roses. 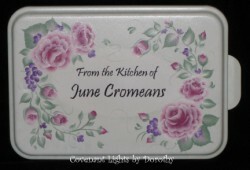 This cake cover is based in soft lavender and hand painted with shabby royal plum roses. A wonderful unique wedding, shower or Christmas gift! 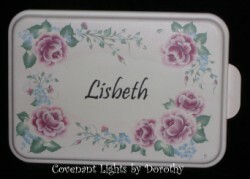 This cake cover is based in soft brown and hand painted with shabby blue roses. This cake cover is based in soft yellow and hand painted with cardinals. 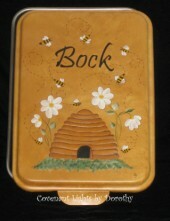 This cake cover is based in soft brown and hand painted with a charming bee hive and cute little buzzing bees. 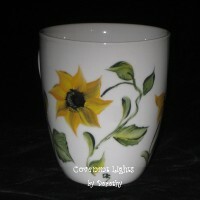 POLKA DOTS ... how fun! 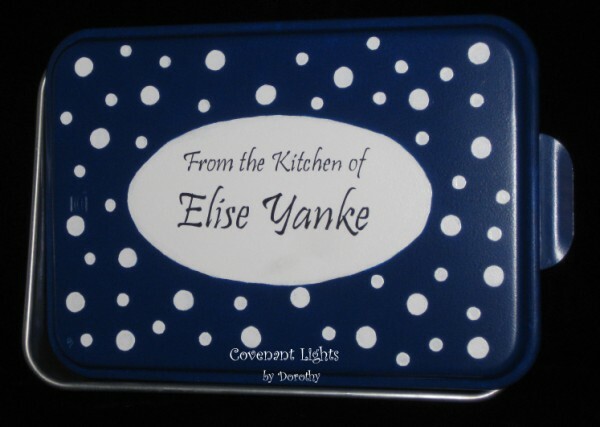 Navy blue and white in the picture, but you may order the colors of your choice. 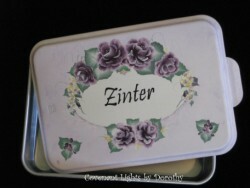 A wonderful unique wedding, shower, birthday or Christmas gift! This cake cover is based in soft green and hand painted with shabby roses. This cake cover is based in soft yellow and hand painted with shabby roses. 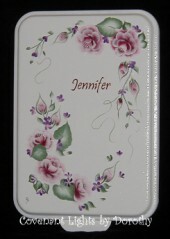 The top cake cover is based in soft green, the bottom in white. 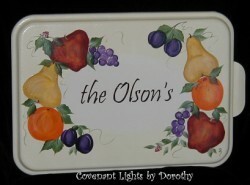 This cake cover is based in soft yellow and hand painted with fruit. 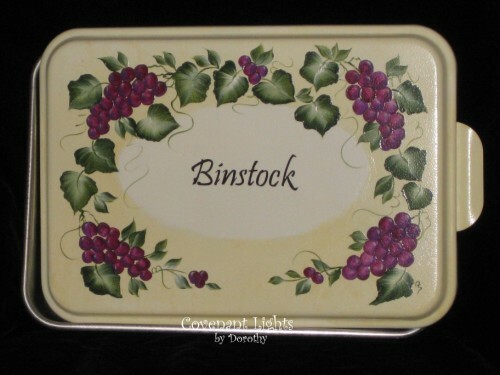 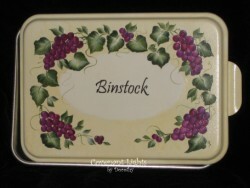 This cake cover is based in soft yellow and hand painted with grape clusters.